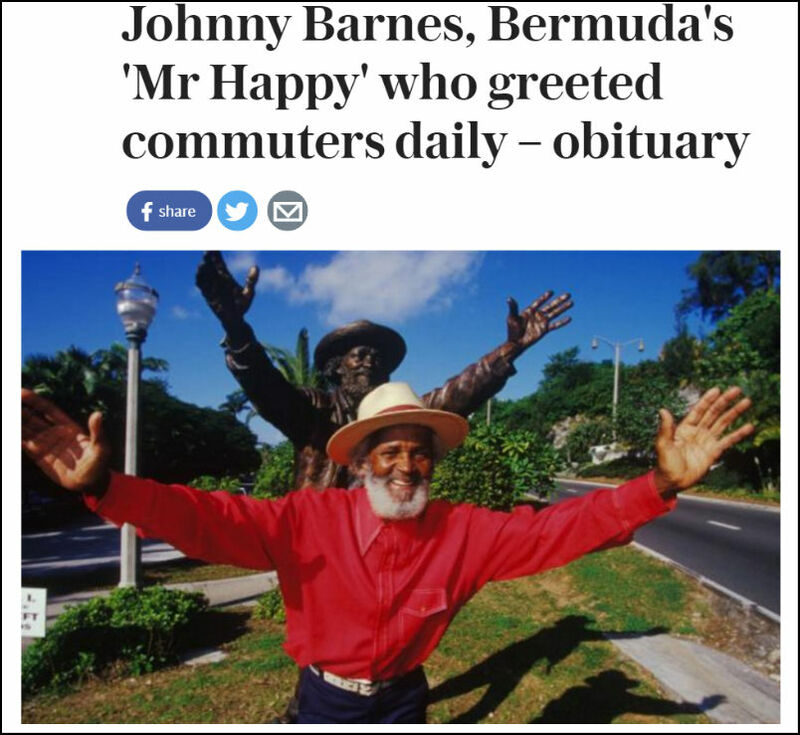 The story said, “Johnny Barnes, who has died aged 93, was a familiar and beloved figure in Bermuda, where he was known as “Mr Happy” for his habit of waving cheerily at commuters every morning for 30 years from his chosen place by the Crow Lane roundabout. 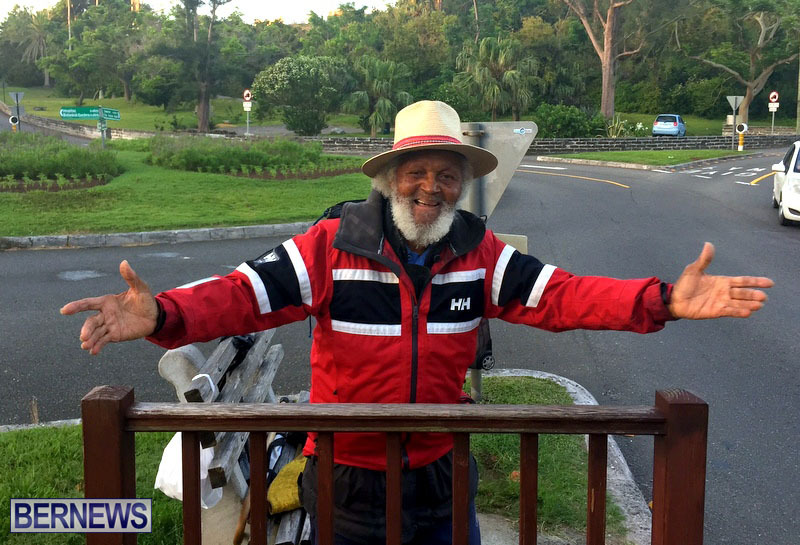 “Bermuda’s road layout meant that most traffic entering Hamilton would pass him. Many a motorist testified that the sight of the bearded and hat-wearing Barnes bestowing benediction had lifted their mood. In 2011, the director Matt Morris was prompted to make a short film about him, Mr Happy Man, which has since been viewed online more than 100,000 times. “On the rare occasions when he failed to appear, radio stations would be deluged by callers anxious for news. In 2012 he suffered a fall while waving at his usual spot and was unable to get up until an ambulance arrived. He later said that he had just tripped on the hole worn by his standing there for three decades. I personally wrote this in his Wikipedia entry – though with wording that was more accurate and less dramatic. So we know where the Telegraph gets their info. I’m really going to miss Johnny Barnes. Well you have an imitation one there now.